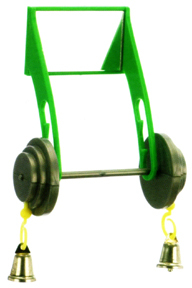 Add a little excitement to your little tweets life with the barbell (perch). The barbell can actually move ... very fun! !